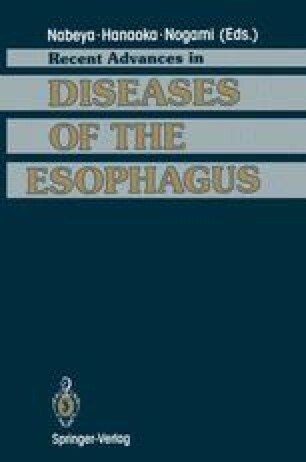 Barrett’s columnar lined esophagus (CLO) has a marked propensity to develop serious complications . In more than 50% of patients there is an associated stricture or ulceration, and tendency to hemorrhage, perforation, or malignant degeneration [2, 3]. Gastroesophageal reflux disease is almost invariably present in patients who have Barrett’s CLO but the reason why only a portion of the patients with reflux develop an abnormal glandular lining in the esophagus, and why some of these are more prone to complications, is not known.